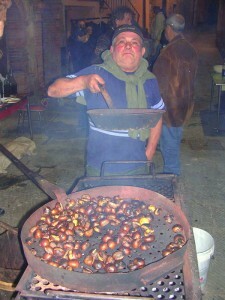 This is a festival held in the Castello Contrada in Late October to celebrate chestnut season. 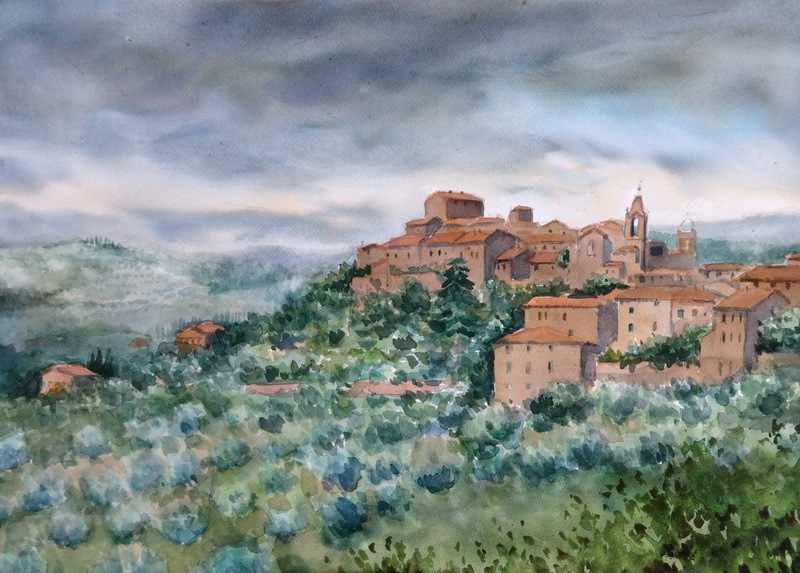 It is a contrada dinner with a chestnut theme to the menu. 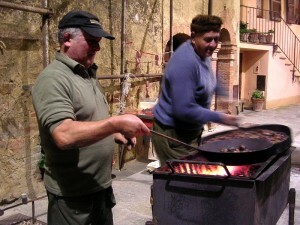 The pasta may be made from chestnut flour and the meat may be casseroled with chestnuts . There is always a threat of cold weather or rain in this season so they put up covers outside my studio window to shelter the barbecue so that they can roast the chestnuts outside to have after the dessert if you actually have any room left. Usually it is just nice to enjoy the warmth of the fire while you stand outside sipping your Grappa or Vin santo.